Have you ever dreamed about putting marketing on auto-pilot and generating 12 percent or greater incremental revenue increases for your restaurant? AmRest, the largest independent chain restaurant operator in Central and Eastern Europe, did just that. Just what is so special about marketing automation in the restaurant world? Most of us are aware of how Amazon and other large online retailers generate sales growth with marketing automation tools that nurture customers and convert them into paying customers. These companies use automated email campaigns with special time-limited offers targeting individuals via their browsing or purchasing history, and even the number of clicks to CTA’s from previous offers. This kind of automation works for online retailers because they can provide the right email incentive to click that “special offer,” creating opportunities for impulsive purchases. In the restaurant world, customers just don’t check their emails to see if they have a special offer before going to dinner. It is especially challenging to move an offer from email to a brick-and-mortar location. Today’s QSR segment can also benefit from automated marketing campaigns to drive visit frequency, and mobile phones are the means to that end. Always on, in hand or in a customer’s pocket, they create a single direct channel to reach that hungry customer – right when they are making their decision to eat out. Mobile apps are the best option when it comes to marketing automation; proven in the restaurant space. Specialized automation mechanics can automatically send guests an actionable message at the right time, pinpointing those moments when they are most likely to use the offer and make that additional visit. Bounce Back Coupons: After KFC started their mobile app-based loyalty program, they found out that 70 percent of all restaurant customers experience a delay in returns after their first visit, a common situation for restaurants. To address the challenge, KFC launched a bounce back coupon campaign. All customers who have used the app for the first time receive an in-app coupon that they can use 7 days after their first visit. This works because customers still have KFC fresh in their minds, making it a “hot” opportunity: >27 percent of guests who receive the coupon, come back for a second time in seven days to claim the offer and bring +1.5 percent of incremental restaurant’s revenue per month. Proximity Marketing Campaigns: Imagine that one of your guests is shopping at the mall and is hungry. Wouldn’t it be just great to be able to incent her with the right reason to choose your restaurant over others? This is how AmRest can leverage its KFC proximity marketing campaigns. The KFC app analyzes users in close proximity to the restaurant’s location, or geozone. The identified potential guest or guests receive a push notification with a special offer that is available only for just that day. Over 22 percent of those customers visit KFC after receiving the offer and 34 percent of KFC monthly revenue comes from proximity marketing campaign. Automated Birthday Greetings: Congratulating a customer on her birthday is a great gesture and one that can be effectively delegated to a mobile marketing solution. When signing up for the KFC app, guests enter their birth date. The platform automatically sends a message to guests with an invitation to come to the restaurant within two weeks of their birthday to receive a special gift. For example: “Happy Birthday! Come to KFC with friends and get Chicken wings on the house.” The campaign conversion is more than 38 percent and the average check size included in the birthday offer is twice as big! The share of monthly incremental revenue increase coming from the birthday campaign is between two to five percent. Winning Back Lost Customers: AmRest marketers also leveraged a great campaign opportunity by using a feature that automatically defines customers who haven’t been to restaurant in the past two months and sends a special offer to them. One campaign example from KFC’s mobile app includes receiving a Free Colonel Sanders sandwich for lapsed customers. The result has been impressive — 34 percent of guests clicked on the offer to learn about the details; 14 percent of guests came back during 2 weeks and on average, 7 percent of incremental revenue comes from this kind of campaign. Build true loyalty instead of functional loyalty by creating strong emotional brand-customer relationships. Transform occasional guests to regular guests and increase foot traffic. Increase same-store revenue by 12 percent on average during the year. To measure the revenue impact of the app, KFC chose two comparable locations (e.g. similar seasonality and marketing strategy.) The mobile app pilot was launched only in one of these locations. The comparison of incoming incremental revenues during 1 year showed an average 12 percent revenue growth at the location with mobile app, after the app was launched. Marketing automation is an ever-present challenge for restaurant chains, but by using a comprehensive mobile strategy, CRM tools and an effective mobile app, double digit growth is within reach of restaurant marketers. These outstanding results were honored at the 2016 Loyalty360 Awards where the KFC AmRest case study won the Gold Award in “Return on CX” Category. 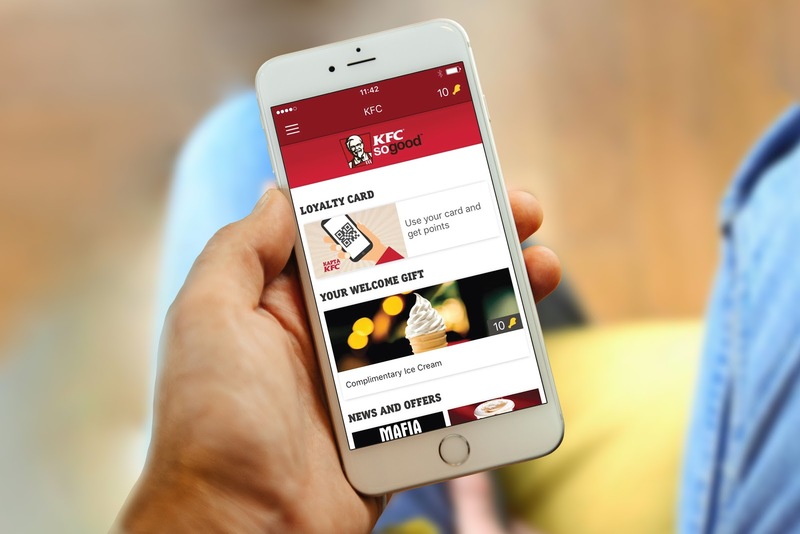 KFC AmRest achieved that by following its recipe for increased loyalty and revenue through mobile technology. You can use these recipes to bake your own success. 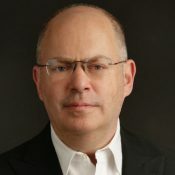 Jim Steinberg is Director of Enterprise Partnerships for LoyaltyPlant. The company’s proprietary platform offers a powerful CRM system, a white-label app and POS integration. The company has more than 560 clients in eight countries, including Pizza Hut, KFC, Hooters and Burger King franchisees.